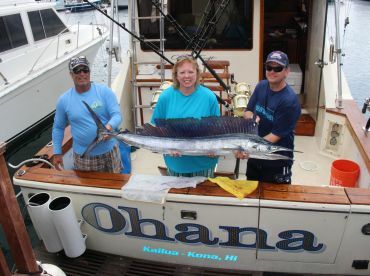 Ohana Sportfishing Adventures was founded with the goal of making Kona fishing exciting and enjoyable for everyone. The name means "family" in Hawaiian, and the company holds true to their name, being family-owned and family-friendly. 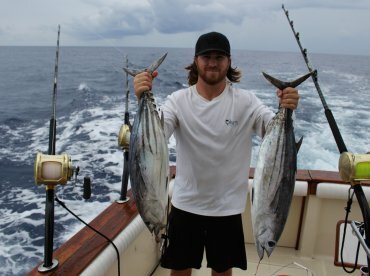 They are here to bring great fishing to everyone, no matter your age or experience level and will work hard to tailor every trip to the need of the client. 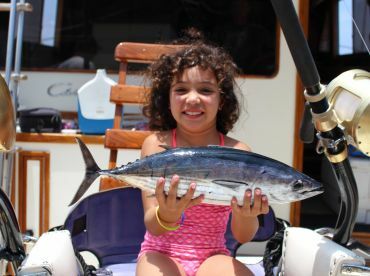 Little Angler with a Big Smile! Another Whale Watching Trip Gone Awry! Thank you so much for you review! 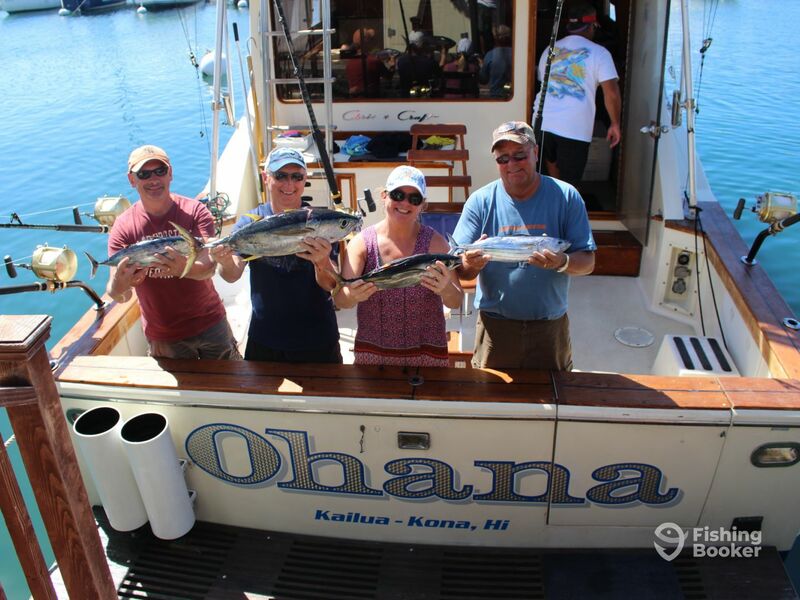 We enjoyed having you aboard th Ohana and hope to see you, again. 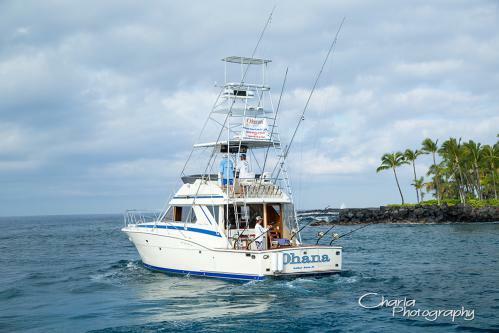 Ohana Sportfishing is the best choice! 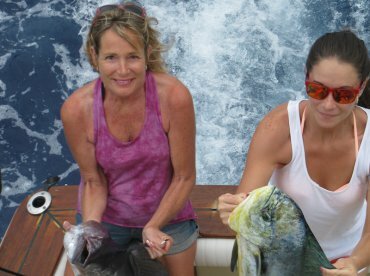 We had an excellent fishing experience with Captain Chris, Geri and first mate, Dave. 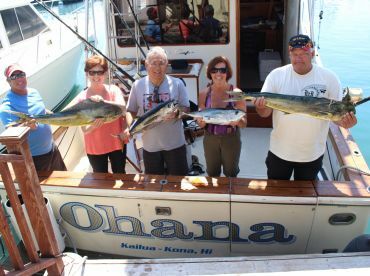 The Ohana team are not only knowledgeable, but experienced fisherman that are excellent guides from meeting us in the parking lot first thing in the am to coming home with a catch that we could share with over 20 family members the following day. 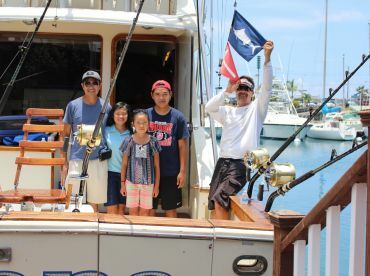 Our fishing party included individuals with extensive fishing backgrounds to rookies. Great fun had by all! MAHOLO NUI LOA! Mahalo nui loa for your stellar review! We really enjoyed having you aboard the Ohana and look forward to fishing with you, again. Au hui hou and aloha. Thanks for your review, Shannon. We enjoyed fishing with you and hope to see you again. Aloha and au hui hou! We will absolutely use them again when we are on the Islands. Local knowledge, great attitude, a really fun experience! Thank you Captain Chris! 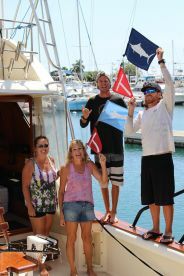 Mahalo for your kind words, Frank, we enjoyed having you aboard the Ohana and hope to see you again, soon! Au hui hou.